WELCOME! The Dominican Province of St. Joseph has appointed a new vocation director (effective July 2018). Here is how to get started and be in communication with him. A native of Connecticut, Fr. Jacob Bertrand entered the novitiate of the Dominican Province of St. Joseph in 2010 after completing his undergraduate studies at Marist College (Poughkeepsie, NY), where he competed in division 1 Cross Country. He made his simple profession in 2011 and was assigned to the Dominican House of Studies in Washington, DC where he earned his Licentiate in Sacred Theology in 2017. Fr. Jacob Bertrand made solemn profession in 2014 and was ordained a priest in May 2017 at the Basilica of the National Shrine of the Immaculate Conception. For the last year he has served as the assistant chaplain at Aquinas House, our Catholic campus ministry center at Dartmouth College in Hanover, NH. I, Fr. Jacob Bertrand OP would like to invite you to friend me on FB now. If you are interested in any kind of regular communication with me, I would require you to add your contact information HERE, and then confirm it via your email. +Check out the dates for the next vocation weekends in Washington DC. Check out also a recent video featuring last year’s novices who made their simple profession of vows in Ohio. “Champions of the Faith and true lights of the world.” These were the words of Pope Honorius III describing a new religious order with their humble founder, Domingo de Guzmán. This band of preachers, under the special patronage of the Blessed Virgin Mary, was given a mandate by the Church to preach Jesus Christ and Him crucified. We have been preaching for over 800 years. In every age of challenge and crisis, the Lord has never abandoned His Church. St. Dominic’s mission, to preach the Gospel for the salvation of souls, is just as urgent today as it was eight centuries ago. We are the Order of Friars Preachers and we work to bring God to men and men to God – hardly a small task. Why is a vocation in the Order of Preachers so attractive? Part of the answer can be found in the Church’s magisterial teaching on consecrated religious life: “The fraternal life is itself prophetic in a society which, sometimes without realizing it, has a profound yearning for a brotherhood which knows no borders” (Vita Consecrata § 85.1). 6,000+ friars from every corner of the world, are bound together in the way of St. Dominic. Won’t you join us? 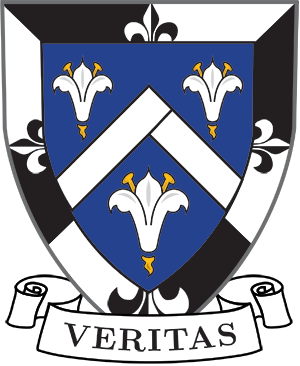 In Washington, D.C. we have two houses of formation: the Dominican House of Studies (Priory of the Immaculate Conception which includes our Pontifical faculty) and St. Dominic’s Priory (connected with St. Dominic’s Parish). In Ohio we have our novitiate in St. Gertrude Priory in Cincinnati. To subscribe to receive email updates from Dominicana (blog of our student friars) subscribe HERE. Our Pontifical Faculty of the Immaculate Conception is located within the Dominican House of Studies in our nation’s capital. Our former Master of Students, Fr. Andrew Hofer OP, did an excellent interview outlining the particular strengths of our seminary with Regina Magazine. You probably are looking for some practical advice of what you can do to prepare yourself to possibly enter the Order of Preachers. I would strongly suggest you check out this document. Our aspirancy guidelines will assist you regardless of where you end up. Or perhaps you want to know how our formation process works or how you might go about visiting some of the houses of the Dominican Province of St. Joseph. Within our Order there are cooperator brothers and priests. All Dominican friars, both ordained and non-ordained, are first and foremost consecrated religious men bound together as friars (meaning “brothers”) by our common religious profession. You may have heard the Lord has been blessing our province with a “vocation boom” for a number of years now. We are very grateful to God for our many friars in formation (100+ are in formation for the 4 US provinces). This address by His Excellency, Archbishop J. Augustine DiNoia, O.P., is considered to be the best description of what is happening. Another perspective, found here, is from an interview one by our previous vocation director. The best way to learn the most about the charism of the Order of Preachers would be to make a “Come & See” vocation weekend with us and meet the 100+ friars who live in our two formation houses in Washington, DC: the Dominican House of Studies (next to Catholic University of America) and St. Dominic Priory (downtown). Know of our prayers for you as you take this important step in your life! May our Lord draw you close to His heart as you consider your response to His generosity. We entrust you to the powerful prayers of Our Lady of the Rosary and our Holy Father, St. Dominic. The Dominican Province of St. Joseph (Eastern) has many different websites that will help you learn more about our way of life and the ministries and preaching with which we are involved.